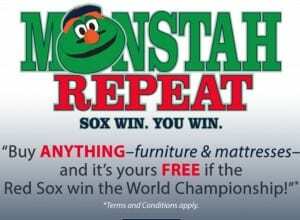 Jordan’s Furniture is once again offering their Red Sox Promotion: When the Sox Win, You win with the Monstah Repeat. 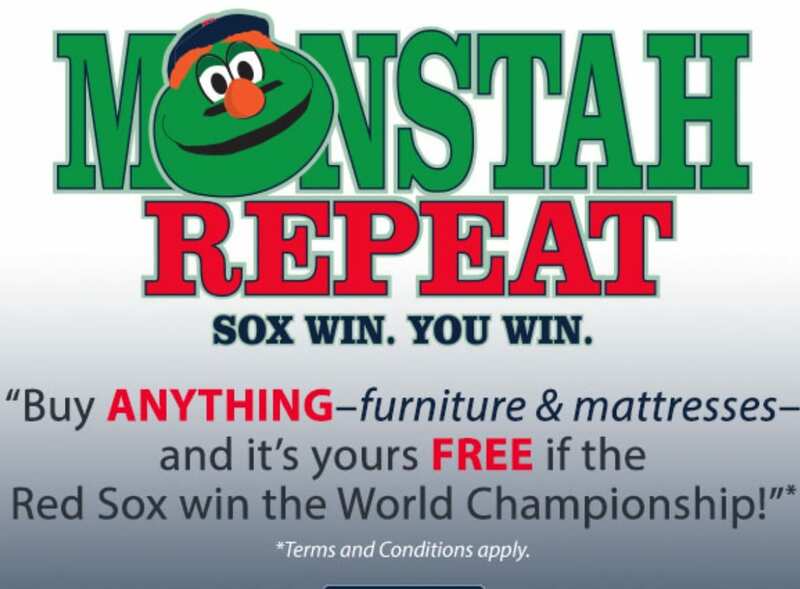 Buy anything at Jordan’s Furniture from April 8, 2015 to May 17, 2015 at any location or online and if the Red Sox win the World Championship, you will win a rebate for the price paid for your furniture. For more information and all the terms and conditions, please head here. Will you be participating in this promotion? Did you win any free furniture in the past?